The easiest way to set up an Apple TV is with an iOS device. To use this easier setup mode, you’ll need a third-generation Apple TV, an iPhone 4s or newer, third generation iPad or newer, iPad Mini or fifth generation iPod Touch. Whichever iOS device you use must be running iOS 7. When the Apple TV is first powered on, it will boot up to a setup screen. Make sure the iOS Device is connected to the wireless network that you want the Apple TV to connect to. 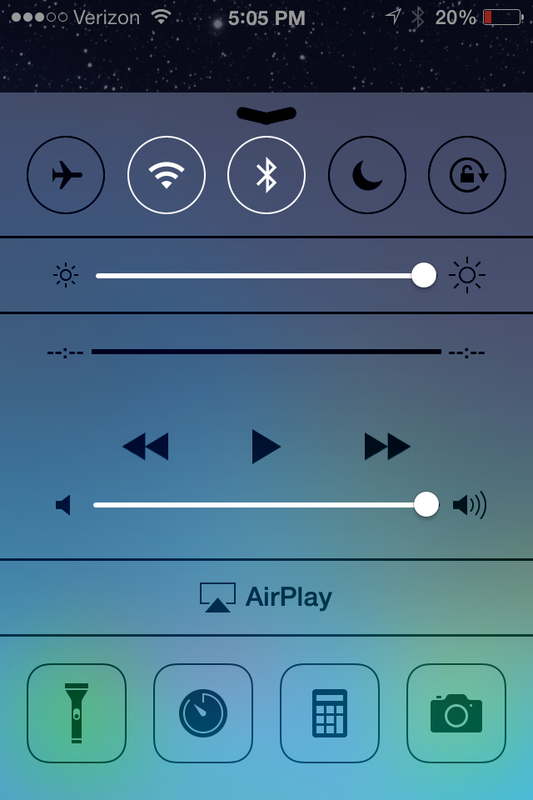 Then use Control Center to turn on Bluetooth. Then you just need to touch your iOS device to the Apple TV. 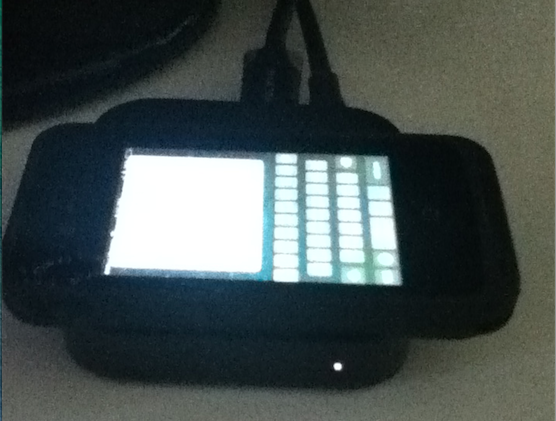 I was able to successfully pair my iPhone 4S and Apple TV, even with my phone in a Lifeproof case. Once you touch the iOS device to the Apple TV, a pop-up appears on the iOS device. When the pop-up appears you can remove the iOS device from the top of the Apple TV. 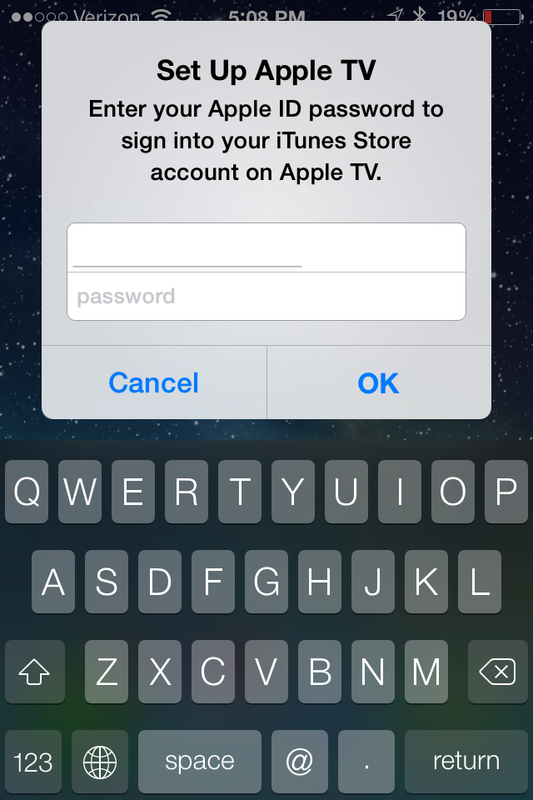 Enter your Apple ID and password in the prompt to continue the setup. 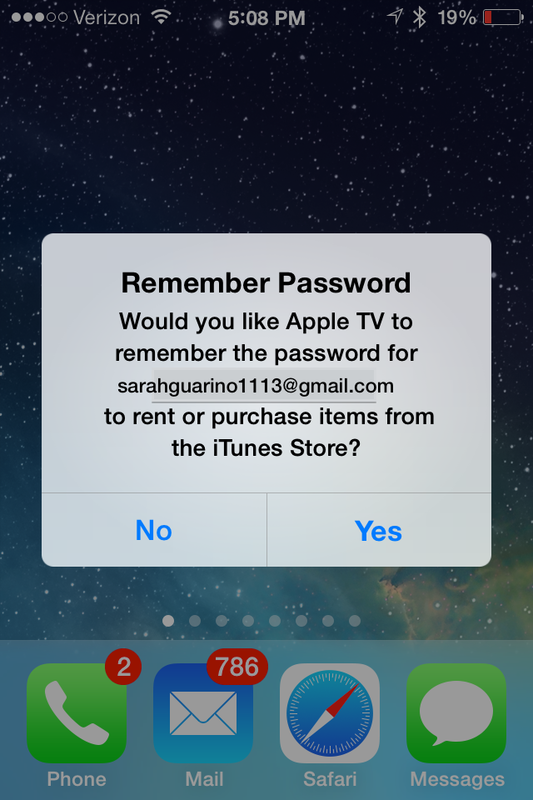 After entering in your Apple ID and password, the next prompt asks if you want the device to remember them, so when you purchase any music, TV shows or movies from the Apple TV you will not have to re-enter in the password each time. If there are children who might have access to the Apple TV without adult supervision I would decline this option. 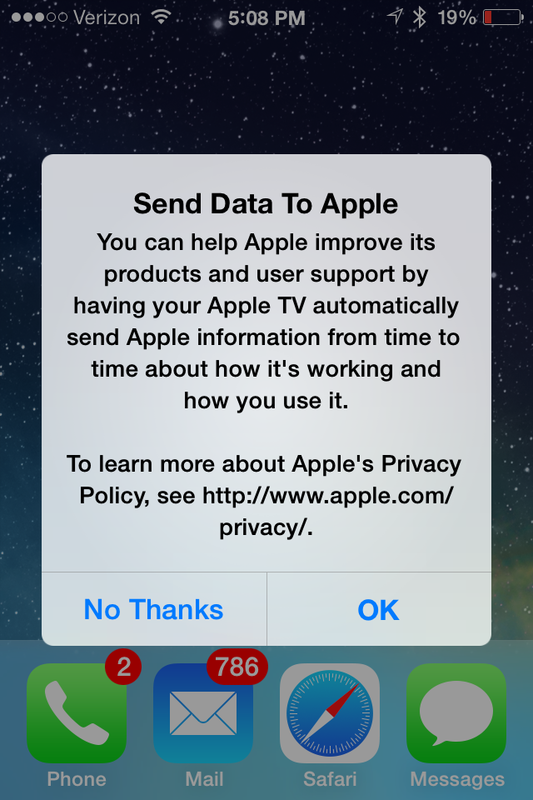 The last prompt asks about helping Apple improve software. This will send anonymous data to Apple on occasion to ensure that they can track down any bugs or other issues. It is optional, but doing so will not compromise your privacy. 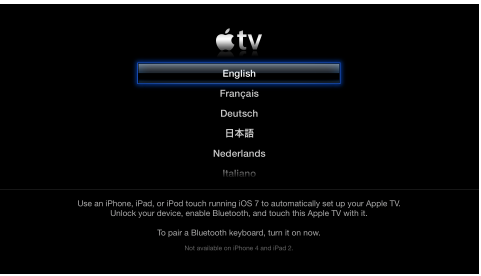 While you fill out the information needed on your iOS device, your television displays a picture of the Apple TV with a message that it is finishing the set up. The Apple TV then connects to the wireless network, activates, connects to the iTunes store and welcomes you to the main page. 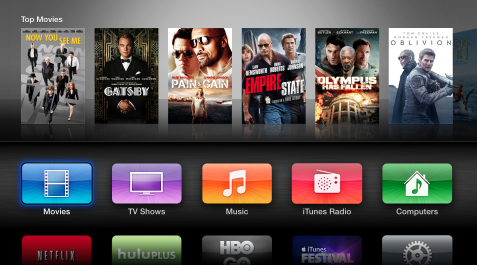 Your Apple TV is now ready for use. You can stream content from the iTunes Store, your iCloud account, iTunes Radio, and other devices via AirPlay. You can also setup your Netflix, Hulu Plus, HBO GO, and other accounts to start watching your favorite shows from each of those services.